For fruit juice manufacturers, sanitation and hygiene are top priorities. Each step entails careful monitoring to ensure that products are in best quality. Thus, accurate data input is necessary. Having a computing system that provides precise monitoring and information encoding is advantageous in meticulous fruit juice operations. 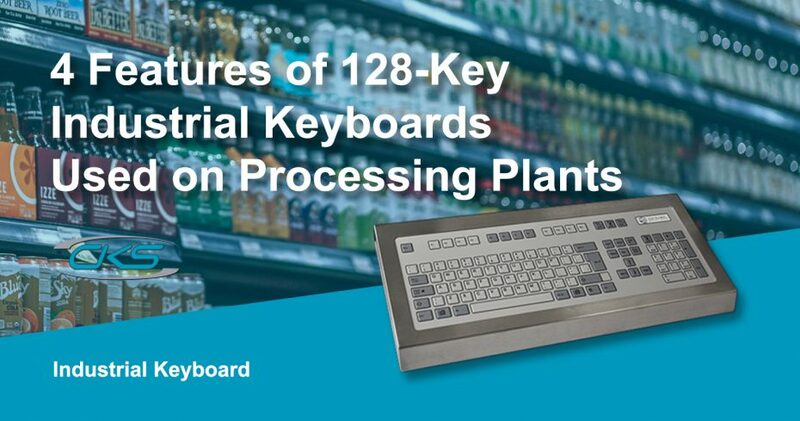 Apart from installing industrial PCs, having the 128-key industrial keyboard is an excellent peripheral to use in fruit juice production. With its sealed mechanical keys, it provides better typing feedback whilst performing optimally even under extreme usage. Therefore, there would be lesser miscalculations due to input errors, resulting to lesser bottlenecks and other costly liabilities. Other than its sturdiness, this ruggedised peripheral has several features that make it applicable to many fruit juice production operations. So, in this blog, let us showcase the top reasons to integrate the industrial 128-key keyboard to embedded PCs. Automation and other computing functionalities are utilised in fruit juice manufacturing. But, these technologies require reliable equipment that resist or withstand the constant presence of liquid and dirt intrusion. Hence, having embedded PCs with ruggedised keyboards can be used to ensure that essential programs are well-performed even with extreme working conditions. Since accuracy is crucial in fruit juice processing, keyboards that are connected to panel PCs should have excellent features. Fortunately, the 128-key ruggedised keyboard have mechanical switch keys, wear and chemical resistant overlay and alternative mounting options. This means it can be installed in limited workspaces whilst being able to perform optimally even with extreme use. In a fast-paced work environment, input errors and miscalculations can occur and may result to costly damages. Good thing, the rugged 128-key keyboard is equipped with mechanical switch keys. Its individual key switches provide unique tactile and audible feedback, allowing operators to clearly recognise pressed keys. As a result, inaccurate or missed data input are prevented. Fruit juice production also bears an environment where possibilities of liquid intrusion to devices may occur. But, this rugged keyboard has an IP67 rating which ensures that the internal parts of the peripheral is protected from dust and water intrusions. That way, operators can continue experiencing outstanding data input even when working in areas with high volume of liquid spills. In a manufacturing floor, possibilities of shock and vibration hazards can cause damage to devices. Thus, the 128-key keyboard has a stainless steel (304) construction. So, it can last over extensive use due to its sturdy and corrosion-resistant construction. It is definitely a cost-efficient device for fruit juice processors since it has low maintenance requirement and sturdiness that can last 24/7/365 usage. Even under tough ambient situations, operators can continue to have an efficient data input. With LED illumination backlighting, the 128-key industrial keyboard makes it more convenient to encode information in a precise and accurate manner. This results to lesser miscalculations which can cause costly damages during fruit juice operations. Having precision and accuracy with information flow is crucial for an optimised fruit juice making process. These can prevent the possibilities of backlogged operations due to errors in data input. But, with the ruggedised 128-key keyboard, it provides excellent typing feedback whilst being able to withstand extensive usage. So, integrate an industrial-grade keyboard to your operating system to improve production efficiency today. Contact a reliable industrial computer manufacturer and learn more about this device.